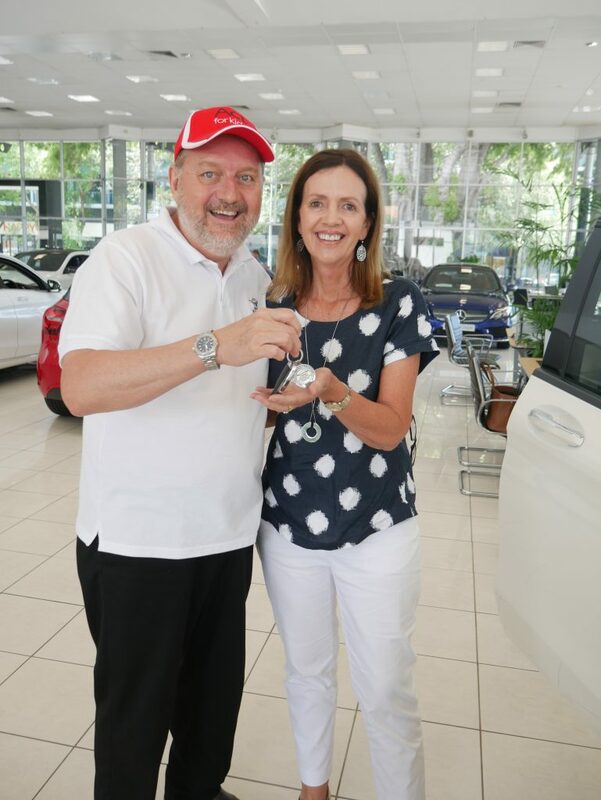 Act for Kids runs six Platinum Class Lottery draws each year, giving ticket holders the chance to win a luxury Mercedes-Benz. Will you be the next lucky Act for Kids lottery winner? Meet long-time supporter and Act for Kids winner of last year’s December draw, D.T. She was relaxing at home when she received a call to let her know that her three ticket book for $100 had won first prize. Not only was it an amazing call to change her life, but a Christmas dream come true – just days away from Christmas. D.T. collected the keys on December 27th and had the choice between three brand-new Mercedes-Benz models but ultimately chose the stylish GLC250. “I support Act for Kids because it is based in Brisbane and is a cause that needs monetary support to help overcome the problem of child abuse in Australia. I think it is a well-run charity and I have great respect for the people that work there and the work they do,” D.T said. If there’s anything you should want on your Christmas list this year, it’s an Act for Kids lottery ticket. With draw 76 now open, you can have your chance to win not only one, but TWO luxury Mercedes-Benz cars! You could win a $117,459 Mercedes-Benz X250D Pure 4WD and GLA180 in the 2018 December Act for Kids draw. No need to choose – one lucky winner will take home both cars. Because two is definitely better than one! First prize includes BOTH cars, plus up to $2,500 towards CTP insurance, registration, accommodation and flights to pick up or transport the vehicle to you.